Priced exactly the same as the 2019 Kia Stinger, the 2019 Kia Cadenza provides a different avenue of grandeur than the new Kia sports sedan. 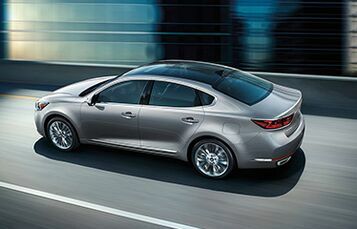 Whereas the 2019 Kia Stinger is light, breezy, and emphasizes thrills on the road, the 2019 Kia Cadenza luxury sedan provides sleek elegance, immense comfort, and high-minded tech to create an incredibly enriching experience behind the wheel. So, let’s take a trip inside the most recent Cadenza model to view its appealing factors in full. 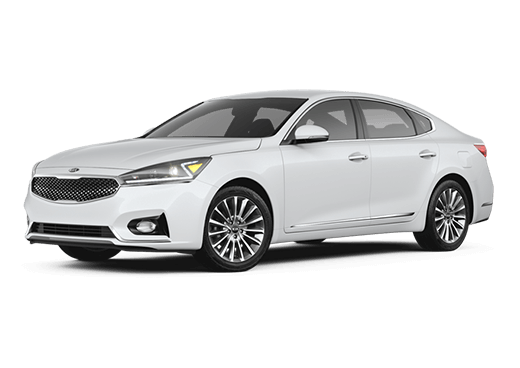 Let’s begin by taking a look at what first draws the eye to the 2019 Kia Cadenza. That would be its striking visage. The immense amount of luxury found with the 2019 Kia Cadenza should be addressed in two measures. Those would be of its exterior luxury and its interior luxury. 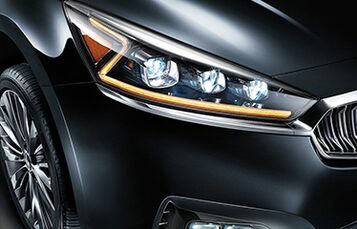 With its beautiful and sculpted shell, the 2019 Kia Cadenza provides a dished front grille, LED Z-shaped headlamps and taillamps, perimeter approach lighting, and 19” wheels with a dark satin finish. 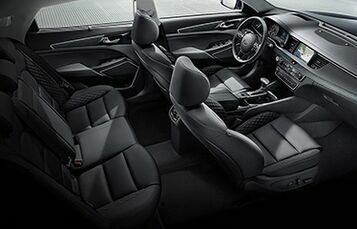 Inside its comfortable and exquisite cabin, the 2019 Kia Cadenza provides quilted Nappa leather upholstery, woodgrain interior accents, and heated and ventilated seating among many additional luxuries. Moving away from looks, another important factor is how a vehicle handles when behind the wheel. On that front, the 2019 Kia Cadenza is immensely pleasing as well. 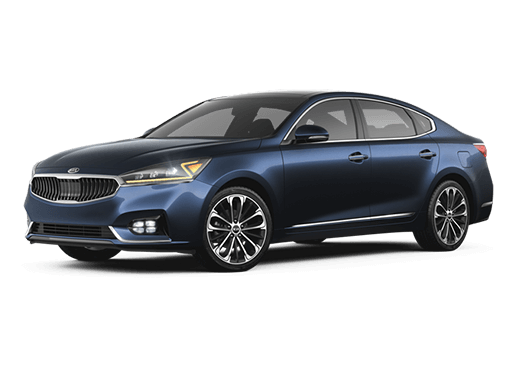 Equipped with a 3.3L V6 engine, the 2019 Kia Cadenza produces up to 290 horsepower and 253 lb-ft of torque. Its 8-speed Sportmatic® transmission provides seamless shifting and responsive power, especially when paired with a four-wheel independent suspension. Technology in modern vehicles addresses convenience, entertainment, safety, and more. From the cockpit in the 2019 Kia Cadenza driver’s seat, everything begins with the UVO eServices touchscreen display system. Included with navigation and voice control commands, drivers can also change driving preferences and adjust certain technologies in use, such as deciding to turn off unneeded driver-assistance features to conserve power. 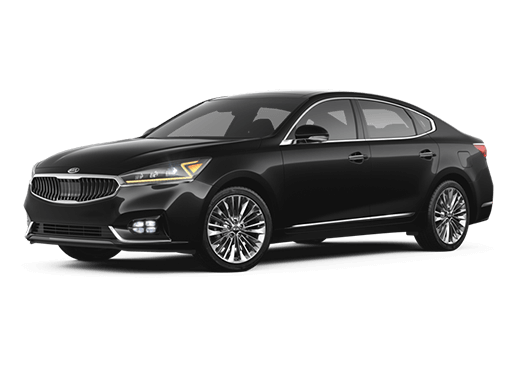 The 2019 Kia Cadenza also includes Harman/Kardon® QuantumLogic™ premium sound, a wireless smartphone charger, a driver’s Head Up Display, dual-zone automatic climate control, Smart Shift and Drive selection, and many additional luxuries.